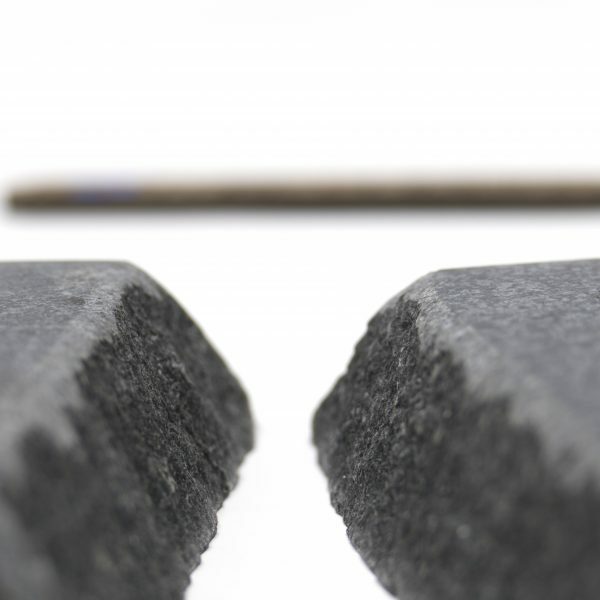 Our Dual Texture holds are the result of a long refinement from many years of working with and shaping granite, and in all modesty; the holds are something else entirely. 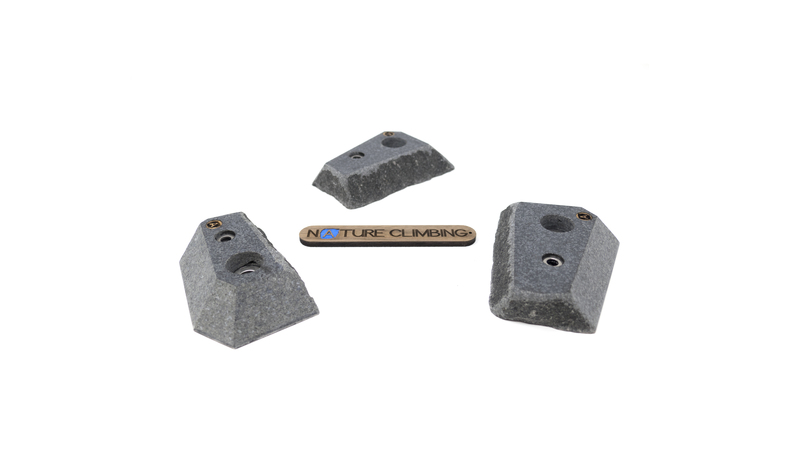 Whether setting intensive or delicate boulder problems or long aesthetic routes, you will find that the holds create an interesting and complementary experience in your climbing gym. 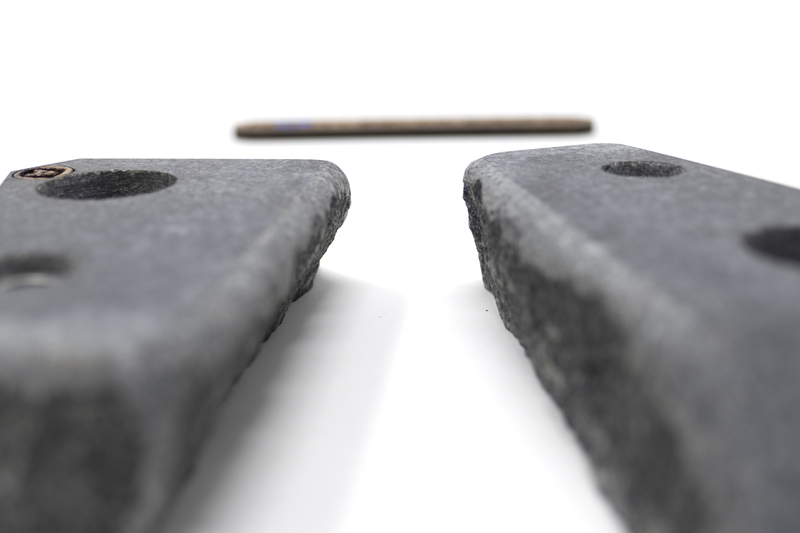 Designed from a simple philosophy – maintaining the uniqueness of the stone’s natural edge and at the same time creating consistent and recognizable features. This means e.g. 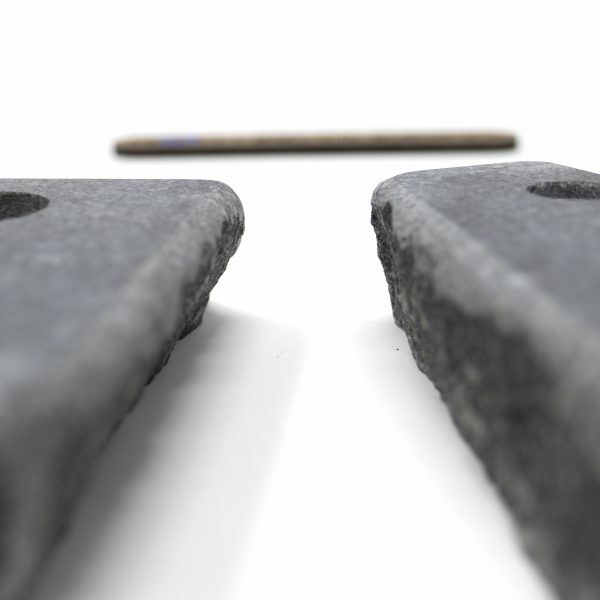 that the measured incut and angle of holds will be consistent but the texture and surface will be slightly different as the shape of every piece of stone is unique. The thumber holds are medium sized and shaped with a vertical, incut or sloper profile and a unique spot for the thumb. Each holds package will come with an equal amount of left- and right-hand holds. 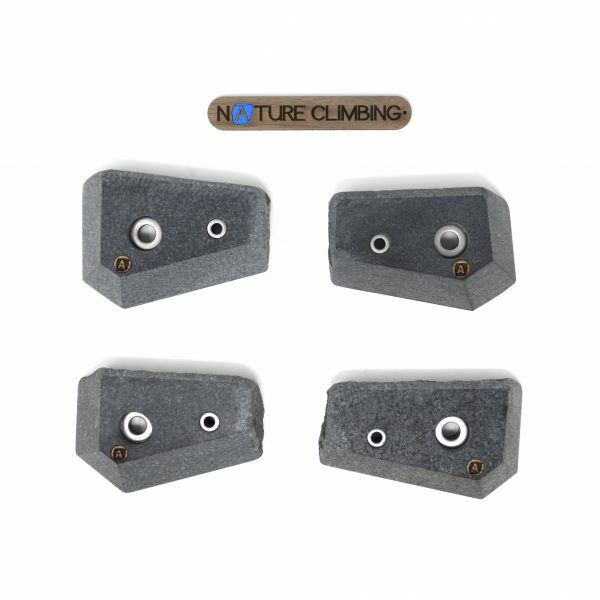 The incut holds are in general shaped for steep or overhanging climbing, but can easily find their use when route setting intermediate routes on easier angled walls as well. 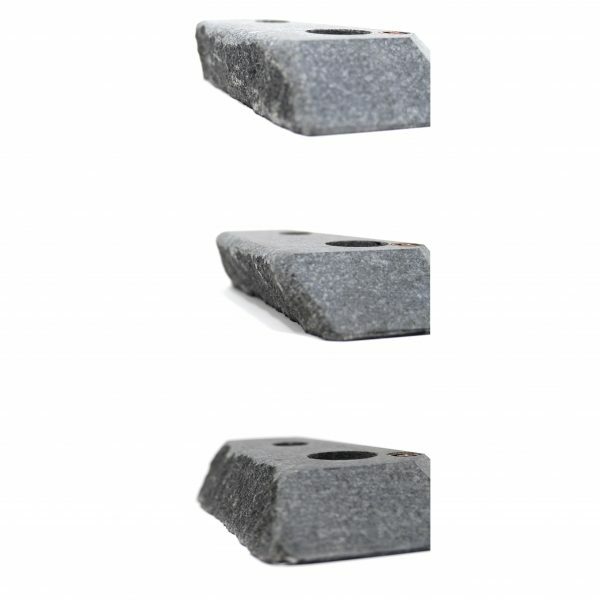 Nature Climbing Granite Holds are made exclusively from carefully selected granite from Norwegian and Danish suppliers. 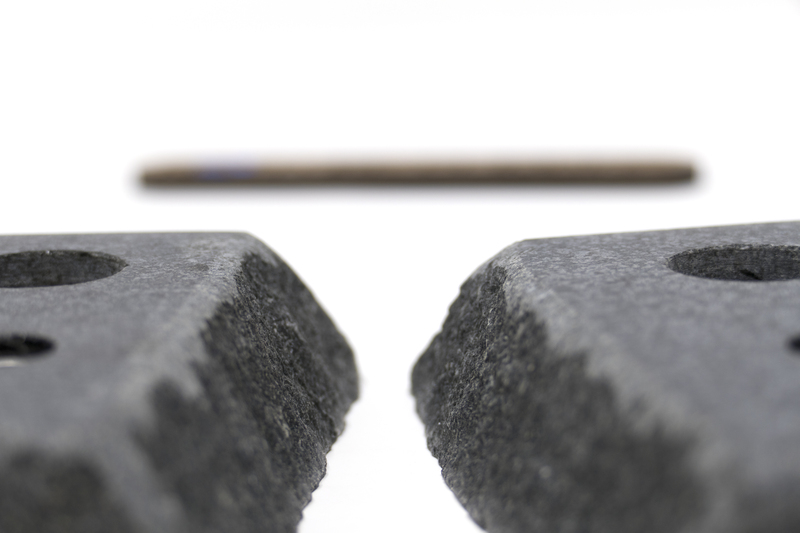 Our stone-shapers handpick the raw material to achieve the most interesting shapes and features. After the selection, every single hold is cut, shaped and finished by hand. Our aim is to maintain the uniqueness of the stone while crafting the recognizable quality and features of Nature Climbing Granite holds. The uniqueness combined with high quality features makes a completely different, aesthetic and interesting experience for both route setters and climbers. 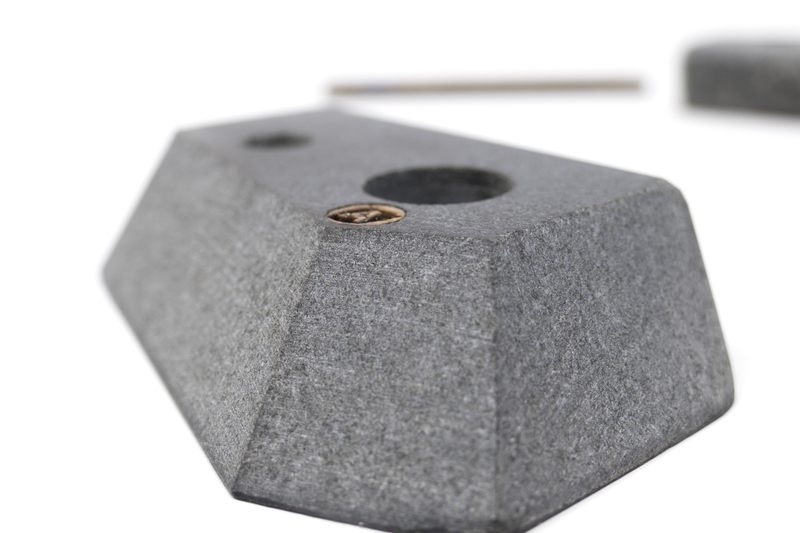 The holds have a soft surface with no injury provoking edges. 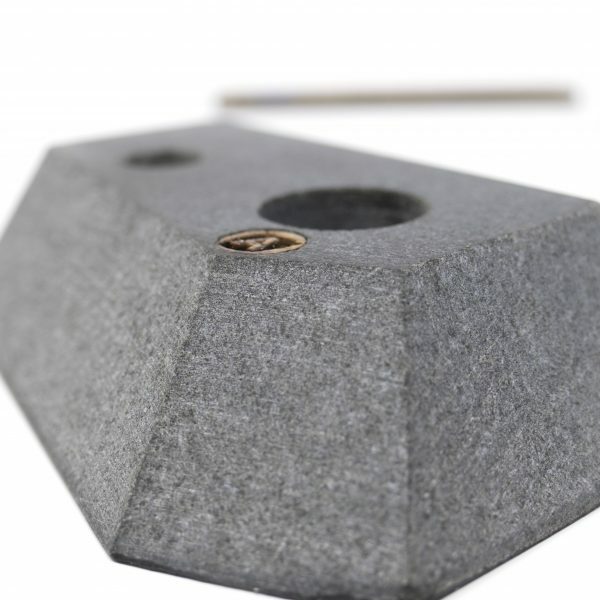 It is our experience that the holds will help you immensely in building the extra strength and finger endurance you need for finishing up your next outdoor project. 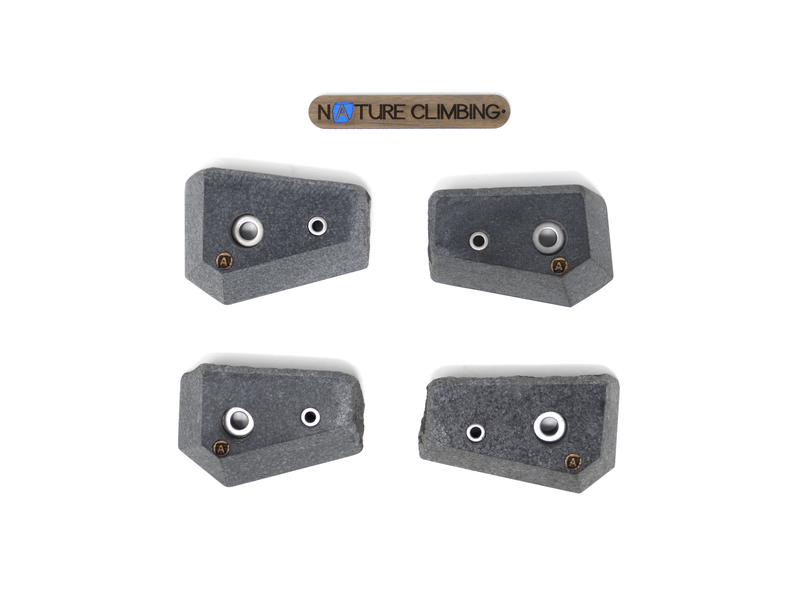 At the same time, Nature Climbing Granite holds will create a unique experience by bringing the magnificent world of outdoor climbing indoors. All our holds are easily mounted with standard bolts and/or screws for route setting. 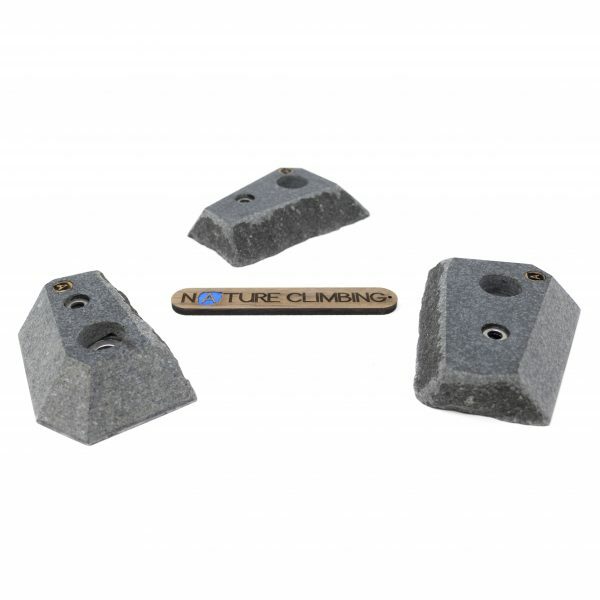 Whether you consult us or use an experienced and educated route setter for the mounting, climbing on our soft surface granite holds will, without a doubt, help you immensely on building the extra strength and finger endurance you need for finishing up your next outdoor project.